Dayanan Business Consultancy assists individuals and foreign companies of all sizes in setting up their business operations in the Philippines. Doing business in the Philippines has many advantages as well as a large amount red tape. Once we know your goals and the kind of business you want to launch in the Philippines, DBC will recommend the best structure for your KPO, Call Center, IT or Web Development Outsourcing, Back Office Operation or Import and Export. DBC will advise you how to register your investment with PEZA or BOI to obtain tax incentives. We will also ensure that you will get the best Business Process Outsourcing in the Philippines. BPO is a cost-saving measure which is a method of subcontracting business-operations to a third party. One category of BPO is outsourcing of back office services, and Dayanan can help you starting from your business registration in the country. Once the SEC has issued your License to Transact or Certificate of Incorporation, DBC will still be there to help get local business permits and licenses and register with other government agencies when necessary. Other services DBC provides Business Development and Marketing, Business Plans, Visa Processing, Bookkeeping and Payroll. Your Business Registration in the Philippines will be done quickly and professionally through Dayanan Business Consulting services. Contact the DBC Team now for a free consultation. The Philippines has numerous government agencies making it one of the most bureaucratic countries in South East Asia. It takes time to know exactly what process each agency handles. To make it easier here is our Philippine Government Agency guide. For those who want to streamline the processing of their documents with the government, Dayanan Philippines Business Consultants is here to assist you with Philippines business registration, tax incentive application and alien employment visa. The SEC was set up on 26 Oct 1936 by virtue of the Commonwealth Act No. 83 or the Securities Act. Its establishment was prompted by the need to safeguard public interest in view of local stock market boom at that time. The SEC was abolished during the Japanese occupation and was replaced with the Philippine Executive Commission. It was reactivated in 1947 with the restoration of the Commonwealth Government. Due to the changes in the business environment under Pres. Ferdinand Marcos, the agency was reorganized on 29 Sept 1975 as a collegial body with 3 commissioners and was given quasi-judicial powers under PD902-A. The SEC has jurisdiction and supervision over all corporations, partnerships or associations who are the grantees of primary franchises and/or a license or permit issued by the Government. It also supervises the registration of branch offices, representative offices and regional headquarters. Under the DTI are seven major functional groups composed of bureaus that provide support to DTI’s line agencies and are involved in line operations, which deliver business and consumer services directly to the stakeholders and the public. It also supervises the registration of company names and sole proprietorship. The NTC is the government agency established under Executive Order No. 546 promulgated on July 23, 1979, and conferred with regulatory and quasi-judicial functions taken over from the Board of Communications and the Telecommunications Control Bureau which were abolished in the same Order. First and foremost, the NTC is the sole body that exercises jurisdiction over the supervision, adjudication and control over all telecommunications services throughout the country. For the effective enforcement of this responsibility, it adopts and promulgates such guidelines, rules, and regulations relative to the establishment operation and maintenance of various telecommunications facilities and services nationwide. Although independent, in so far as its regulatory and quasi-judicial functions are concerned, the NTC remains under the administrative supervision of the Department of Transportation and Communication as an attached agency. The SSS is funded by salary deductions and employer contributions. Its role is to provide employee with health, disability, retirement, maternity, death and funeral benefits and salary, housing and business loans. The birth of the Home Development Mutual Fund (HDMF), more popularly known as the Pag-IBIG Fund, was an answer to the need for a national savings program and an affordable home financing for the Filipino worker. The Fund was established on 11 June 1978 by virtue of Presidential Decree No. 1530 primarily to address these two basic yet equally important needs. Under the said law, there were two agencies that administered the Fund. The Social Security System handled the funds of private employees, while the Government Service Insurance System handled the savings of government workers. Pag-IBIG membership mandatory for all SSS and GSIS member-employees. DOLE started as a small bureau in 1908. It became a department on December 8, 1933 with the passage of Act 4121. The DOLE is the national government agency mandated to formulate and implement policies and programs, and serve as the policy-advisory arm of the Executive Branch in the field of labor and employment. It consists of the Office of the Secretary, 7 bureaus, 6 services, 16 regional offices, 12 attached agencies and 38 overseas offices with a full manpower complement of 9,806. The Alien Employment Visa (AEP) is issued by DOLE. The Technical Education and Skills Development Authority (TESDA) was established through the enactment of Republic Act No. 7796 otherwise known as the “Technical Education and Skills Development Act of 1994”, which was signed into law by President Fidel V. Ramos on August 25, 1994. This Act aims to encourage the full participation of and mobilize the industry, labor, local government units and technical-vocational institutions in the skills development of the country’s human resources. Contact Dayanan Philippines Business Consultants now for assistance with Philippine government agencies. (3) Regional Operating Headquarters (ROHQ) shall mean a foreign business entity which is allowed to derive income in the Philippines by performing qualifying services to its affiliates, subsidiaries or branches in the Philippines, in the Asia-Pacific Region and in other foreign markets. Art. 58. Qualification of Regional or Area Headquarters. – Any foreign business entity formed, organized and existing under any laws other than those of the Philippines whose purpose, as expressed in its organizational documents or by resolution of its Board of Directors or its equivalent, is to supervise, superintend, inspect or coordinate its own affiliates, subsidiaries or branches in the Asia-Pacific Region and other foreign markets may establish a regional or area headquarters in the Philippines, by securing a license therefor from the Securities and Exchange Commission, upon the favorable recommendation of the Board of Investments. (a) A certification from the Philippine Consulate/Embassy, or a duly authenticated certification from the Department of Trade and Industry or its equivalent in the foreign firm’s home country that said foreign firm is an entity engaged in international trade with affiliates, subsidiaries or branch offices in the Asia-Pacific Region and other foreign markets. (3) The regional or area headquarters shall notify the Board of Investments and the Securities and Exchange Commission of any decision to close down or suspend operations of its headquarters at least fifteen (15) days before the same is effected. (c) An undertaking that the multinational company will remit into the country such amount as may be necessary to cover its operations in the Philippines but which amount will not be less than Fifty thousand United States dollars ($50,000) or its equivalent in other foreign currencies annually. Within thirty (30) days from receipt of certificate of registration from the Securities and Exchange Commission, the multinational company will submit to the Securities and Exchange Commission a certificate of inward remittance from a local bank showing that it has remitted to the Philippines the amount of at least Fifty thousand United States dollars ($50,000) or its equivalent in other foreign currencies and converted the same to Philippine currency. Annually, within thirty (30) days from the anniversary date of the multinational company’s registration as a regional or area headquarters with the Securities and Exchange Commission, it will submit proof to the Securities and Exchange Commission of inward remittance amounting to at least Fifty thousand United States dollars ($50,000) or its equivalent in other foreign currencies during the past year. (d) Any violation by the regional or area headquarters of a multinational company of any of the provisions of this Code, or its implementing rules and regulations, or other terms and conditions of its registration, or any provision of existing laws, shall constitute a sufficient cause for the cancellation of its license or registration. Art. 59. Qualification of Regional Operating Headquarters (ROHQs). – Any foreign business entity formed, organized and existing under any laws other than those of the Philippines may establish a regional operating headquarters in the Philippines to service its own affiliates, subsidiaries or branches in the Philippines, in the Asia-Pacific Region and other foreign markets. ROHQs will be allowed to derive income by performing the qualifying services enumerated under paragraph (b) 1 hereunder. ROHQs of non-banking and non-financial institutions are required to secure a license from the Securities and Exchange Commission, upon the favorable recommendation of the Board of Investments. ROHQs of banking and financial institutions, on the other hand, are required to secure licenses from the Securities and Exchange Commission and the Bangko Sentral ng Pilipinas, upon the favorable recommendation of the Board of Investments. ROHQs are prohibited from offering qualifying services to entities other than their affiliates, branches or subsidiaries, as declared in their registration with the Securities and Exchange Commission nor shall they be allowed to directly and indirectly solicit or market goods and services whether on behalf of their mother company, branches, affiliates, subsidiaries or any other company. <align=”justify”>(2) The regional operating headquarters shall notify the Board of Investments, the Securities and Exchange Commission and the Bangko Sentral ng Pilipinas, as the case may be, of any decision to close down or suspend operations of its headquarters at least fifteen (15) days before the same is effected. (c) An undertaking that the multinational company will initially remit into the country such amount as may be necessary to cover its operations in the Philippines but which amount will not be less than Two hundred thousand United States dollars ($200,000) or its equivalent in other foreign currencies. Within thirty (30) days from receipt of certificate of registration, the multinational company will submit to the Securities and Exchange Commission a certificate of inward remittance from a local bank showing that it has remitted to the Philippines the amount of at least Two hundred thousand United States dollars ($200,000) or its equivalent in other foreign currencies and converted the same to Philippine currency. (d) Any violation by the regional operating headquarters of a multinational company of the provisions of this Code, or its implementing rules and regulations, or other terms and conditions of its registration, or any provision of existing laws, shall constitute a sufficient cause for the cancellation of its license or registration. Art. 60. Multiple Entry Visa. – Foreign personnel of regional or area headquarters and regional operating headquarters of multinational companies, their respective spouses and unmarried children under twenty-one (21) years of age, if accompanying them or if following to join them after their admission into the Philippines as non-immigrant shall be issued a multiple entry special visa within seventy-two hours upon submission of all required documents, and which shall be valid for a period of three (3) years to enter the Philippines: Provided, That a responsible officer of the applicant company submits a duly authenticated certificate to the effect that the person who seeks entry into the Philippines is an executive of the applicant company and will work exclusively for applicant’s regional or area headquarters or regional operating headquarters which is duly licensed to operate in the Philippines, and that he will receive a salary and will be paid by the headquarters in the Philippines an amount equivalent to at least Twelve thousand United States dollars ($12,000), or the equivalent in other foreign currencies per annum. The admission and stay shall be coterminous with the validity of the multiple entry special visa. The stay, however, is extendible for three years upon submission to the Bureau of Immigration of a sworn certification by a responsible officer of the regional or area headquarters or regional operating headquarters: that its license to operate remains valid and subsisting and that the regional or area headquarters or regional operating headquarters has withheld tax due on compensation and the same has been paid to the Bureau of Internal Revenue. Non-immigrants who have been admitted under the multiple entry special visa, as well as their respective spouses and dependents, shall be exempt from: the payment of all fees due under the immigration and alien registration laws; securing alien certificates of registration; and obtaining emigration clearance certificates, and all types of clearances required by any government department or agency, except that upon final departure from the Philippines the employer of the said nonimmigrants shall so advise in writing the Bureau of Immigration at least five (5) working days prior to the non-immigrant’s departure, and the finally departing non-immigrant employee shall be required to submit to the said office a tax clearance from the Bureau of Internal Revenue. Art. 61. Withholding Tax of 15% on Compensation Income. – Aliens employed by the regional or area headquarters and regional operating headquarters of multinational companies shall be subject for each taxable year upon their gross income received as salaries, wages, annuities, compensations, remuneration and emoluments to a tax equal to fifteen per centum (15%) of such gross income. The same tax treatment is applicable to Filipinos employed and occupying the same positions as those aliens employed by multinational companies: Provided, That said Filipinos shall have the option to be taxed at either 15% of gross income or at the regular tax rate on their taxable income in accordance with the National Internal Revenue Code, as amended by Republic Act No. 8424. Art. 62. Tax and Duty Free Importation. – An alien executive of the regional or area headquarters and regional operating headquarters of a multinational company shall enjoy tax and duty free importation of personal and household effects as provided for under Sec. 105(h) of the Tariff and Customs Code, as amended, and Sec. 109(I) of the National Internal Revenue Code, as amended: Provided, That the personal and household effects shall arrive in the Philippines within ninety (90) days before or after conversion of the alien executive’s admission category to multiple entry visa issued under this Act. Art. 63. Travel Tax Exemption. – Personnel of regional or area headquarters and regional operating headquarters of multinational companies and the dependents of such foreign personnel if joining them during the period of their assignment in the Philippines, as certified by the Board of Investments, shall be exempted from the payment of travel tax imposed under Sec. 1 of Presidential Decree No. 1183, as amended. Art. 64. Corporate Income Tax Incentive to Regional or Area Headquarters and Regional Operating Headquarters. – Regional or area headquarters established in the Philippines by multinational companies and which headquarters do not earn or derive income from the Philippines and which act as supervisory, communications and coordinating centers for their affiliates, subsidiaries, or branches in the Asia-Pacific Region and other foreign markets shall not be subject to income tax. Regional operating headquarters shall be subject to a tax rate of ten percent (10%) of their taxable income as provided for under the National Internal Revenue Code, as amended by Republic Act No. 8424: Provided, That any income derived from Philippine sources by the ROHQ when remitted to the parent company shall be subject to the tax on branch profit remittances as provided for in Sec. 28(a)(5) of the National Internal Revenue Code. Art. 65. Value-Added Tax. – The regional or area headquarters established in the Philippines by multinational companies shall be exempted from the value-added tax. In addition, the sale or lease of goods and property and the rendition of services to regional or area headquarters shall be subject to zero percent (0%) VAT rate as provided for in the National Internal Revenue Code, as amended. Regional operating headquarters shall be subject to the ten percent (10%) value-added tax as provided for under the National Internal Revenue Code, as amended. Art. 66. Exemption From All Kinds of Local Taxes, Fees, or Charges. – The regional or area headquarters and regional operating headquarters of multinational companies shall be exempt from all kinds of local taxes, fees, or charges imposed by a local government unit except real property tax on land improvements and equipment. Art. 67. Tax and Duty Free Importation of Training Materials and Equipment; Importation of Motor Vehicles. – Regional or area headquarters and regional operating headquarters shall enjoy tax and duty free importation of equipment and materials for training and conferences which are needed and used solely for their functions as regional or area headquarters or regional operating headquarters and which are not locally available subject to the prior approval of the Board of Investments. The sale or disposition of equipment within two (2) years after importation, entered tax and duty free, shall require prior approval of the Board of Investments and prior payment of applicable taxes and duties waived in favor of RHQ/ROHQ. Regional or area headquarters and regional operating headquarters shall be entitled to the importation of new motor vehicles subject to the payment of the corresponding taxes and duties. (1) The activities of the regional warehouse shall be limited to serving as a supply depot for the storage, deposit, safekeeping of its spare parts, components, semi-finished products and raw materials including the packing, covering, putting up, marking, labelling and cutting or altering to customer’s specification, mounting and/or packaging into kits or marketable lots thereof, to fill up transactions and sales made by its head offices or parent companies and to serving as a storage or warehouse of goods purchased locally by the home office of the multinational for export abroad. The regional warehouse shall not directly engage in trade nor directly solicit business, promote any sale, nor enter into any contract for the sale or disposition of goods in the Philippines: Provided, That a regional warehouse may be allowed to withdraw imported goods from said warehouse/s for delivery to an authorized distributor in the Philippines: Provided, however, That the corresponding taxes, customs duties and charges under the Tariff and Customs Code have been paid by the headquarters of the said multinational upon arrival of such goods: Provided, further, That the delivery of said goods to the aforesaid distributor in the Philippines shall be treated as a sale made by the headquarters rather than that of its head office, and shall be reflected in a separate book of accounts, any representation as to who is the seller to the contrary notwithstanding: Provided, furthermore, That the aforementioned sale shall be governed by the provisions on value-added tax in accordance with the National Internal Revenue Code, as amended by Republic Act No. 8424: Provided, finally, That the income from the aforementioned sale to said distributor shall be treated as income derived by the said headquarters from sources within the Philippines and shall be subject to the corporate income tax of a resident foreign corporation under the National Internal Revenue Code, as amended, the provision of any law to the contrary notwithstanding. (2) The personnel of a regional warehouse will not participate in any manner in the management of any subsidiary, affiliate or branch office it might have in the Philippines other than the activities allowed under this Act. (3) The personnel of the regional or area headquarters or regional operating headquarters shall be responsible for the operation of the regional warehouse subject to the provisions of this Code. (4) The multinational company shall pay the Board of Investments, the PEZA or concerned ecozone authorities, as the case may be, and the appropriate Collector of Customs concerned the corresponding license fees and storage fees to be determined by said offices. (5) An application for the establishment of a regional warehouse located outside an ecozone shall be made in writing to the Board of Investments, to the PEZA, or to concerned ecozone authorities in the case of regional warehouses located in ecozones. The application shall describe the premises, the location and capacity of the regional warehouse and the purpose for which the building is to be used. <align=”justify”>The jurisdiction and responsibility of supervising the regional warehouses located outside ecozones shall be vested on the Bureau of Customs, and the Board of Investments, or the PEZA or concerned ecozone authorities for warehouses within ecozones. (5) The percentage of annual allowable withdrawal from warehouses located outside ecozones for domestic use shall be subject to the approval of the Board of Investments, or of the PEZA or concerned ecozone authorities with respect to warehouses located within the ecozones of their jurisdiction: Provided, however, That in the case of existing warehouses, in no case shall their withdrawals exceed thirty percent (30%) of the value of goods they have brought in for any given year and the payment of the corresponding taxes and duties shall have been made upon the arrival of such goods imported: Provided, further, That the PEZA or concerned ecozone authorities may allow withdrawal exceeding thirty percent (30%) of the value of goods under such terms and conditions the PEZA or concerned ecozone authorities may impose. (a) Tax Incentives for Qualified Goods Destined for Reexportation to the Asia-Pacific and Other Foreign Markets. – Except as otherwise provided in this Code, imported spare parts, components, semi-finished products, raw materials and other items including any packages, coverings, brands and labels and warehouse equipment as may be allowed by the Board of Investments, the PEZA or concerned ecozone authorities, as the case may be, for use exclusively on the goods stored, except those prohibited by law, brought into the regional warehouse from abroad to be kept, stored and/or deposited or used therein and re-exported directly therefrom under the supervision of the Collector of Customs concerned for distribution to its Asia-Pacific and other foreign markets in accordance with the guidelines implementing Book IV of this Code including to a bonded manufacturing warehouse in the Philippines and eventually re-exported shall not be subject to customs duty, internal revenue tax, export tax nor to local taxes, the provisions of law to the contrary notwithstanding. (b) Payment of Applicable Duties and Taxes on Qualified Goods Subject to Laws and Regulations Covering Imported Merchandise if Destined for the Local Market. – Any spare parts, components, semi-finished products, raw materials and other items sent, delivered, released or taken from the regional warehouse to the local market in accordance with the guidelines implementing Book IV of this Code shall be subject to the payment of income taxes, customs duties, taxes and other charges provided for under Sec. 68 hereof and for which purpose, the proper commercial invoice of the head offices or parent companies shall be submitted to the Collector of Customs concerned; and shall be subject to laws and regulations governing imported merchandise: Provided, That in case any of the foregoing items are sold, bartered, hired or used for purposes other than they were intended for without prior compliance with the guidelines implementing Book IV of this Code and without prior payment of the duty, tax or other charges which would have been due and payable at the time of entry if the articles had been entered without the benefit of this Order, shall be subject to forfeiture and the importation shall constitute a fraudulent practice against customs revenue punishable under Sec. 3602, as amended, of the Tariff and Customs Code of the Philippines: Provided, further, That a sale pursuant to a judicial order shall not be subject to the preceding proviso without prejudice to the payment of duties, taxes and other charges. Art. 70. Exemption From the Maximum Storage Period Under the Tariff and Customs Code; Period of Storage in the Regional Warehouse. – The provision of the law in Sec. 1908 of the Tariff and Customs Code of the Philippines, as amended, to the contrary notwithstanding, articles duly entered for warehousing may remain in the regional warehouses for a period of two (2) years from the time of their transfer to the regional warehouse, which period may be extended with the approval of the Board of Investments for an additional period of one (1) year upon payment of the corresponding storage fee on the unexported articles, as provided for under Article 68(4) for each extension until they are re-exported in accordance with the guidelines implementing Book IV of this Code. Any articles withdrawn, released or removed contrary to the provisions of said guidelines shall be forfeited pursuant to the provisions of Article 69, paragraph (b) hereof. Art. 71. Rules and Regulations on the Jurisdiction, Operation and Control Over Qualified Goods in the Regional Warehouse. – The Board of Investments, the PEZA, concerned ecozone authorities and the Bureau of Customs shall jointly issue special rules and regulations on the receiving, handling, custody, entry, examination, classifications, delivery, storage, warehousing, manipulation and packaging, release for reexportation or for importation and delivery to a Philippine distributor and for the safekeeping, recording, inventory and liquidation of said qualified goods, any existing law notwithstanding. Such rules and regulations shall be formulated in consultation with the applicants/operators of regional warehouses. Art. 72. Cancellation of License or Registration. – Any willful violation by the regional or area headquarters or regional operating headquarters of a multinational company which has established a regional warehouse or warehouses contrary to or in violation of the provisions of existing laws and the implementing guidelines of Book IV of this Code shall constitute a sufficient cause for the cancellation of its license or registration in addition to the penalties hereinabove provided in Article 69, paragraph (b) hereof. The Board, the PEZA or concerned ecozone authorities, as the case may be, shall have the authority to impose such fines in amounts that are just and reasonable in cases of late submission or non-compliance on the part of registered enterprises, with reporting and other requirements under this Code and its implementing rules and regulations. Sec. 8. Article 73 of the same Code is hereby repealed. Art. 73. Implementing Rules and Regulations. – To implement the provisions of Books III and IV of this Code, the Department of Trade and Industry, in coordination with the Department of Foreign Affairs, the Board of Investments, the Philippine Economic Zone Authority, the ecozone authorities with special charters, the Securities and Exchange Commission, the Bureau of Internal Revenue, the Bureau of Customs, Bangko Sentral ng Pilipinas, Philippine Tourism Authority, and the Bureau of Immigration shall jointly promulgate such rules and regulations which shall take effect thirty (30) days after their publication in at least two (2) national newspapers of general circulation in the Philippines. Sec. 10. Separability Clause. – If any part or section of this Act is declared unconstitutional for any reason or whatsoever, such parts not so declared shall remain in full force and effect. Sec. 11. Repealing Clause. – All laws, decrees, orders, rules and regulations or issuances or parts thereof inconsistent with the provisions of this Act are hereby repealed or modified accordingly. Sec. 12. Effectivity Clause. – This Act shall take effect after thirty (30) days following its full publication in at least two (2) newspapers of general circulation in the Philippines. The Government of the Philippines has put in place several incentive programs and tax breaks to attract foreign and local investors. The two main agencies implementing those incentives are BOI and PEZA. Dayanan Business Consultancy will assist you in choosing and registering with the correct agency for your business to receive the appropriate benefits. There are several things to take into consideration, such as whether your main activities will be export or domestic oriented, if they are part of the Investment Priorities Plan (IPP) in effect, and where your project will be located and operated. In order to register with PEZA a company must be located in one of the PEZA assigned Ecozones, whereas the BOI does not have any location requirements (if not part of the IPP program). Evaluation of Application, this step can be relatively quick depending on the availability of the the board. Presentation to PEZA for review by the board, which will decide on the exact incentives granted to the project. The registration procedure can take from 2 to 3 weeks depending on the project. In order to register with the PEZA or BOI there are some specific export commitments to respect. A business engaged in pioneer activities has no export commitment and hence may sell all of its services/products in the Philippines, as long as it complies with the Foreign Investment Act’s (FIA) requirements. A company registering with the PEZA or the BOI can avail from a number of tax incentives and benefits. Offshore profit remittances, which is not subject to remittance tax. Income Tax Holiday (ITH) for 4 years for Non-Pioneer IT Enterprises, or 6 years for Pioneer IT Enterprises. After the ITH period is over, companies can opt to pay a special 5% tax on gross income instead of all national/local taxes. This does not apply to real property taxes for developers-owned land. Exemption on import duties/taxes on imported machinery, equipment and raw materials. Permanent resident status is granted to foreign investors when they make an initial investments of US$50,000.00 or more. Exemption from Branch Profit Remittance tax for PEZA-registered branches of foreign firms. Other incentives can also be granted as determined by the PEZA Board. PEZA and BOI each want to attract investments from the following industries in order to expand the economic development of the Philippines. PEZA is attached to the Philippine Department of Trade and Industry (DTI). 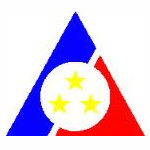 PEZA is the Philippine government agency tasked to promote investments, extend assistance, register, grant incentives and facilitate the business operations of investors in export-oriented manufacturing and service facilities inside selected areas throughout the country proclaimed by the President as PEZA Special Economic Zones (ecozones). The PEZA Special Economic Zones has earned the trust of investors with its many locations throughout the Philippines ready for development, offered at a secured and competitive prices. Under PEZA, companies can avail of tax incentives and other benefits. PEZA’s dynamic, responsive and client-oriented ethics have earned the trust and confidence of foreign and local investors and the Philippines Foreign Chambers of Commerce in its Special Economic Zones and tax incentives. PEZA is ISO 9001:2000 certified. Special Non-Immigrant Visa 47(a)2 with Multiple Entry Privileges for the following non-resident Foreign Nationals in a PEZA-registered Economic Zone Enterprise : Investor/s, officers, and employees in supervisory, technical or advisory position, and their spouses and unmarried children under twenty-one years of age. PEZA extends Visa Facilitation Assistance to foreign nationals their spouses and dependents. Other incentives under Executive Order 226 (Omnibus Investment Code of 1987), as may be determined by the Philippine Economic Zone Authority Board. Note: The companies registered with the Subic Bay Metropolitan Authority (SBMA) or Subic Bay Freeport Zone and the Clark Freeport Zone (CDC), are not eligible for the Income Tax Holidays, but will enjoy a 5% tax on gross income. To benefit of PEZA’s tax breaks and incentives, a company needs to register and locate its operations in one of the PEZAs’ Special Economic Zones, IT Parks, Technology Parks, or buildings. Businesses inside the PEZA zones must export 100% of their production/services but in some special cases an exemption can be granted for the sale of up to 30% of its production/services to be sold in the domestic market. A company located in the PEZA zone may be 100% foreign owned business as long as its activities are not listed in the Foreign Investment Negative List. The registration approval and the incentives granted by PEZA is given on a case by case basis. The establishment of PEZA and the laws regulating its tax incentives and other benefits available to investors in the Philippines Special Economic Zones was enacted by the Special Economic Zone Act of 1995 (Republic Act No. 7916). For companies that will not avail of PEZA incentives see the rules on foreign ownership of Philippine companies. Setting up a business in the Philippines requires the investor to know the investment laws. 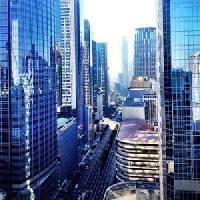 There are many ways for foreign investors to setup a business in the Philippines. 100% foreign ownership of a branch office, corporation, RHQ, ROHQ or representative office is allowed depending on the kind of business they intend to operate in the Philippines. If you have questions on starting or doing business in the Philippines contact our business consultants for a free consultation. Laws pertaining to the leasing of land and purchase of real estate and condominiums by foreigners. One of the ways for a foreign corporation to start business in the Philippines is to register a branch office. A Philippines branch office may start its operations as soon as the SEC has issued its license to transact business. 1 – Name Verification Slip (The SEC will conduct a name search to check if the corporate name has any similitude with a corporation already registered with the SEC). 2 – Authenticated copy of Board resolution authorizing the establishment of an office in the Philippines: designating the resident agent to whom summons and other legal processes may be served in behalf of the foreign corporation and stipulating that in the absence of such agent or upon cessation of its business in the Philippines, any summon of legal processes may be served to SEC as if the same is made upon the corporation at its home office. ii. Unaudited financial statements (UFS) as of date not exceeding one (1) year immediately prior to the filing of the application. B. For those whose home country does not require audited financial statements, the applicant shall submit the unaudited financial statements (UFS) as of a date not exceeding one (1) year immediately prior to the filing of the application provided that the UFS shall be accompanied by a Certification signed under oath by an officer of a responsible regulatory institution or by the applicant’s legal counsel that the applicant is not required to prepare and submit audited financial statements, with a citation of the law or regulation on which it is based. The aforementioned AFS and UFS must be signed under oath by the president or any other person authorized by the corporation. No authentication shall be necessary if the signatory to the said financial statements is the same as that in the corporation’s application. Pursuant to Section 125 of the Corporation Code, the applicant’s financial statements must show that it is solvent and in sound financial condition. 4 – Certified copies of the Articles of Incorporation/By-laws/Partnership/Memorandum and Articles of Association with an English translation thereof if in a foreign language. 6 – Resident Agent’s acceptance of appointment (not necessary if agent is the signatory in the application form. 7 – Copy of passports, names and addresses of the present Corporate Directors and Officers with English translation. All documents must be in English and authenticated by the Philippines Embassy/Consulate of the home country. * Minimum inward remittance of USD 200,000.00 as capital investment. Branches which use advanced technology or employ a minimum of 50 direct employees may be allowed a reduced paid-in capital of USD 100,000.00. Companies which export more than 60% of their products or services may apply for an exemption. We recommend that the inward remittance be registered with the Central Bank of the Philippines, Bangko Sentral ng Pilipinas. A foreign corporation transacting business in the Philippines without having been licensed by the SEC does not have the right to file any action, suit or proceedings in Philippine courts of law. Eligible companies may apply for Philippine tax incentives by registering with the PEZA or BOI. After the SEC has issued the License to Transact Dayanan Business Consultancy will assist you in obtaining local business permits. The corporation code of the Philippines in Title XV gives the definition and rights of a foreign corporation in the Philippines to conduct business.